...then these would be their pocket monsters of choice, according to artist Kuitsuku. Mind, these were drawn over the last few years, although they're making the rounds now—and with good reason. They're fantastic. 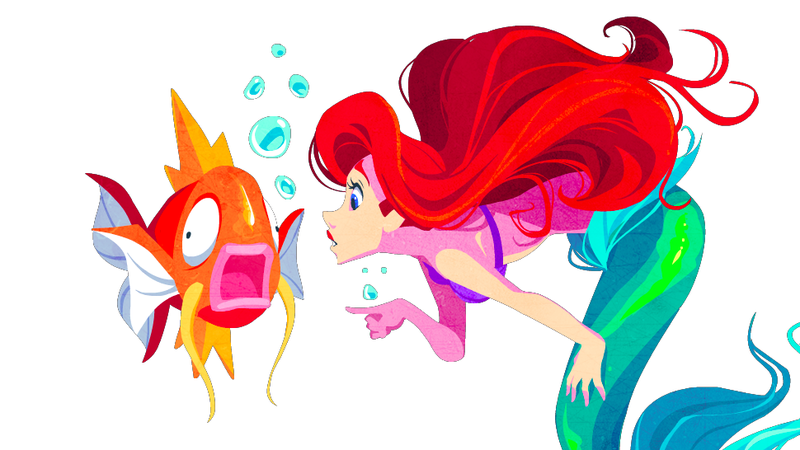 Up above we've got Ariel and Magikarp. Here are some more pairings...think they're a good fit for each other? Who would you pair up? You can see more of Kuitsuku's work here.